All Things Katy! : Surprise Visit from Grandma and Grandpa Jones! Grandma and Grandpa Jones surprised us with quick, spur-of-the-moment visit, this week. It was great for them to see how much you have grown and changed in seven short weeks, Katy. 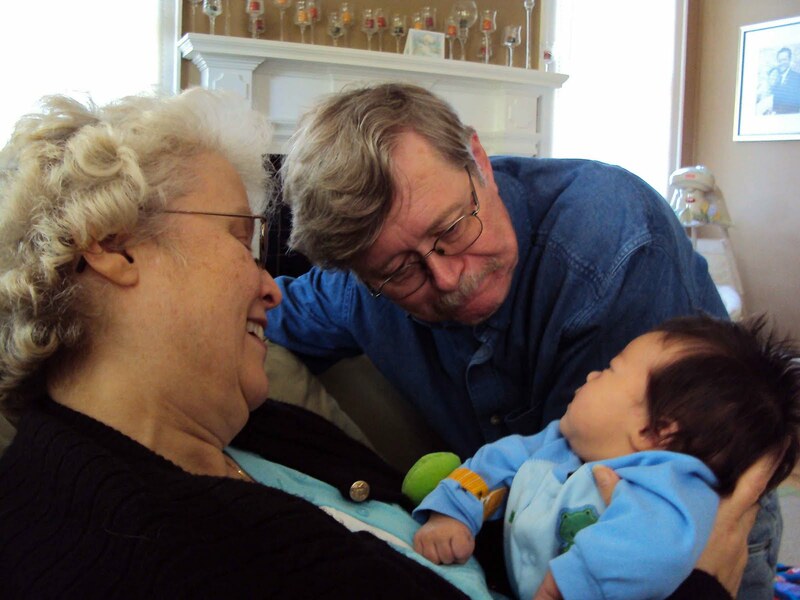 While they were here (Thursday, April 8- Saturday, April 10, 2010), you basked in their attention, fell asleep in their arms and had fun cooing/whistling conversations with them.